There are some big changes coming over the next few years when it comes to paying tax. The Government’s Make Tax Digital project is designed to get us all on line and completing our tax returns using digitally compatible software. The first main stage of this takes place in April 2019, when mandatory MTD VAT comes into effect. 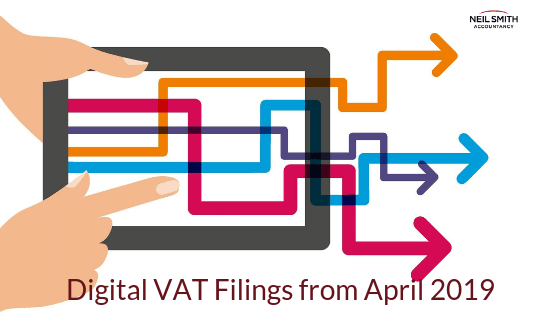 If your company is registered for VAT and has a taxable threshold above the £85,000 limit, then you will need to keep digital records and put in your VAT returns using software that is compatible with MTD. Pilots for public and private company MTD have been in progress since the beginning of 2018 to help iron out any glitches. The majority of businesses and organisations that meet the eligibility requirements will need to have their digital processes up and running by April 2019. Not for profit organisations not set up as a company. VAT divisions and VAT groups. Public sector organisations which need to put additional information on their VAT return. Businesses that make payment on account. The existing exemptions for those who are digitally excluded still apply and will be carried over to the MTD stages. That means, for example, you may be exempt on religious grounds, disability or location. Not being digitally savvy is not necessarily an excuse for exemption. If your business is going through insolvency procedures it is exempt from having to take part in MTD. The vast majority of businesses will not be entitled to any deferment which means they will have to put in processes to handle their VAT digitally. HMRC has been working with a wide range of software developers and if you currently use one on their list, you don’t have to do much except submit your VAT return through that software. You can review the list of current suppliers here on the Government website. Maintain records digitally using your accounting software. Paper accounting will no longer be accepted. 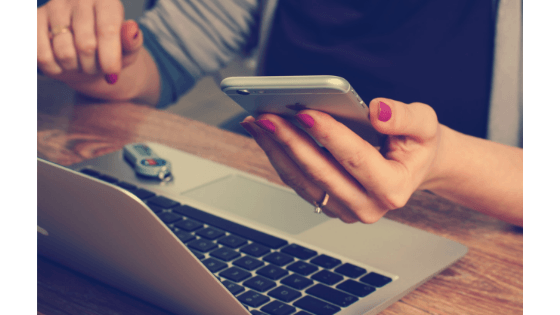 Submit your VAT return using the software rather than the HMRC online service (which the software connects to). You can either choose to download the software for your business and use it yourself or appoint an agent such as an accountant to do it on your behalf. If you currently store your invoices and receipts digitally, there’s nothing stopping you from continuing to do this. You do, however, have to convert these into digital form and store them digitally at some point. HMRC suggest that you keep this as current as possible. The good news is that many software products allow you to simply take a photo of the paper document and convert it to digital. The actual cost to businesses once mandatory MTD comes into force has been a little difficult to quantify. Most larger corporations utilising accounting software that is compatible with HMRC will see little or no change. Businesses that have existed on paper returns or simple spreadsheets will probably have to invest in software which will add to their operating costs. Some estimates suggest that as much as 65% of SMEs don’t currently use accounting software. Costs for the most well-known products on the market can vary between £10 and £35 a month depending on the status of your business. Whether you are registered for VAT or not, over the next few years MTD will come in for all tax declarations. It’s important to get up to speed with the software as soon as possible so you are fully prepared for the changes. As well as Making Tax Digital, pension contributions are due to increase in April this year too, and there are number of employment tax changes since the Autumn budget was released at the end of 2018. At Neil Smith Accountancy, we can come to your assistance if you have any queries about your tax obligations. Find out more and book a free consultation by calling 01376 512 637, sending a message to enquiries@neilsmithaccountancy.co.uk or by using the contact form on the website.